Formula One’s Singapore Grand Prix has a bit of a reputation for unwanted beings making their way onto the race track, and we’re not talking about the dominant Mercedes F1 drivers. 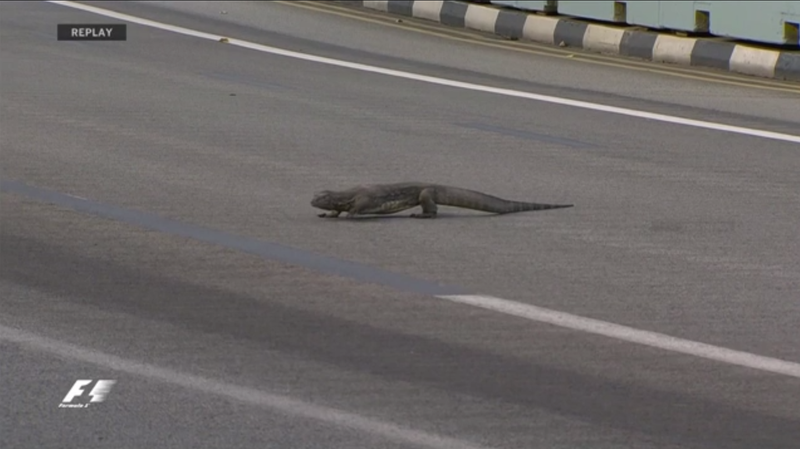 This year, the unwanted being was a giant lizard in the middle of the track during a practice session. A Red Bull engineer described the whole thing as Verstappen coming “face to face with Godzilla,” according to Sky Sports. The lizard, per Sky Sports, is believed to be a monitor lizard. Of course, animals making their way onto the race track is fairly common. 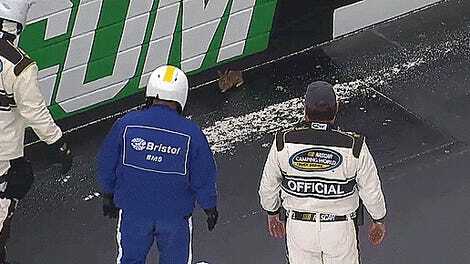 It even happens in NASCAR—with less exotic animals, of course. Let’s just hope the humans in Singapore learned a lesson last year when the guy who walked down the side of the race track got a few weeks in jail, because we don’t need more mid-race track pedestrians.